JUDGES 5:12 AMP 12 Awake, awake, Deborah! Awake, awake, utter a song! Arise, Barak, and lead away your captives, you son of Abinoam. We serve a God of times and seasons, and therefore it is important that as children of God we live according to Heaven’s timetable if we are to live a victorious life, as well as fulfill our destiny. Just as individuals and families have purpose and destiny, so do Nations. 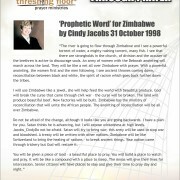 According to the prophecy given by Cindy Jacobs in 1998 in Guatemala, Zimbabwe has a mandate of reconciliation, to unite and to become the Breadbasket of Africa. As daughters of Zimbabwe we have been tasked with the mandate to pray until this word becomes a reality. “1CHRONICLES 12:32 Amplified Bible (AMP)32 And of Issachar, men who had understanding of the times to know what Israel ought to do, 200 chiefs; and all their kinsmen were under their command”. As Deborah’s God is networking faith and connecting the call to the women in Zimbabwe. Gods plan is to gather ourselves in troops as daughters of Zion. 2 Chronicles 7:14 Amplified Bible 14 If My people, who are called by My name, shall humble themselves, pray, seek, crave, and require of necessity My face and turn from their wicked ways, then will I hear from heaven, forgive their sin, and heal their land. 2: Contend for the fulfillment of the prophetic word by Cindy Jacobs through focused prayer on National issues Psalm 22:28. To pray through the mandate for Deborah’s to arise and take up their position on the walls so that we cover Zimbabwe with prayer. Ecclesiastes 3:11 Amplified Bible (AMP) 11 He has made everything beautiful in its time. He also has planted eternity in men’s hearts and minds [a divinely implanted sense of a purpose working through the ages which nothing under the sun but God alone can satisfy], yet so that men cannot find out what God has done from the beginning to the end. 1: Engage women at all levels This will entail travelling across Zimbabwe to engage churches and ministries in all the ten provinces. By sharing the vision and mandate our hope is to get buy in from the Church of Zimbabwe as a whole and to avail intercessors to dedicate time praying this word until it becomes a reality. 2: Engage through prayer by the empowering of the Holy Spirit. 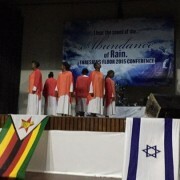 3: Work with representatives from every province Our mandate is to network with other prayer ministries or intercessors in order to focus and contend together in partnership with the larger body of Christ in corporate intercession that will see the prophetic word that Zimbabwe will be the bread basket of Africa comes to pass. 2CORINTHIANS 1:10-11 Representatives from across the nation will disseminate information as well as give feedback on progress in the form of monthly reports. When prayer requests come to Threshing Floor, which will serve as the ‘Command Center’ -the requests are placed in a database and assigned to 5 intercessors who pray for 21 days for that particular domain and the requests. 2 Corinthians 1:10-11 Amplified Bible (AMP) 10 [For it is He] Who rescued and saved us from such a perilous death, and He will still rescue and save us; in and on Him we have set our hope (our joyful and confident expectation) that He will again deliver us [from danger and destruction and [a]draw us to Himself], 11 While you also cooperate by your prayers for us [helping and labouring together with us]. Thus [the lips of] many persons [turned toward God will eventually] give thanks on our behalf for the grace (the blessing of deliverance) granted us at the request of the many who have prayed. 4: Put a demand on Heaven through a united concerted effort in prayer. By setting up prayer meetings in the various provinces thereby bringing intercessors together in one place at regular intervals unified by a prayer mandate. The plan is to release prayer alerts on critical national issue. Send out weekly reports and ensure that we build a net of prayer cover across the nation 24/7. 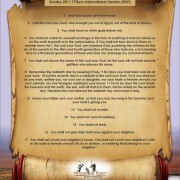 Intercessors are asked to take note of any scriptures or instructions that come to them as they pray. These scriptures are reported back to Threshing Floor and then passed on to the requester as a message of insight. Requesters of requests should give feedback of any testimonies or breakthrough to Threshing Floor. This will culminate on the 19th to 21st of November 2015 with a conference titled ARISE DEBORAH, ARISE BARAK AND LEAD. 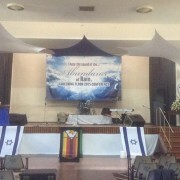 The first 2 days will be a meeting of the intercessors to galvanise the intercessors and encourage them to increased prayer for Zimbabwe for the fulfillment of the Cindy Jacobs prophecy. The bible says that one will put a thousand to flight, 2 ten thousand. Some will work, some will war in intercession as heaven is calling us into unity and alignment. There is a role for each woman, all are important and significant as we move forward united in faith we will breakthrough. The third day of the conference is structured as a Business Seminar. This is where we believe Barak will arise to take up his position as a Gatekeeper. As Threshing Floor our mandate on this day is to bring together, network, and stand alongside businesses in the market place and engage in prayer for all domains that contribute to our economy. Jeremiah 1:10 Amplified Bible (AMP) 10 See, I have this day appointed you to the oversight of the nations and of the kingdoms to root out and pull down, to destroy and to overthrow, to build and to plant.